The massive degradation of conventional agriculture and the environmental havoc it creates has never been as all pervasive in terms of scale, so it has become a global necessity to further the understanding of a comprehensive design and planning system such as permaculture that works with nature, not against it. 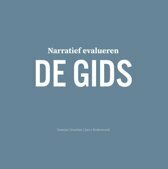 The guild concept often used is one of a “functional relationship” between plants–beneficial groupings of plants that share functions in order to bring health and stability to a plant regime and create an abundant yield for our utilization. In other words, it is the integration of species that creates a balanced, healthy, and thriving ecosystem. But it goes beyond integration. A guild is a metaphor for all walks of life, most importantly a group of people working together to craft works of balance, beauty, and utility. We stand at a new threshold. The history of food production has tended ever more narrowly towards monoculture, whereas a sustainable future can only be based on polyculture. But we're desperately short of knowledge on polycultures. While mainstream research still chases the chimera of fossil-fueled monoculture, a small band of visionaries is working to develop the knowledge we need to carry us forward to the future. Just such are the authors of this book and the wisdom it contains is part of that movement. --Patrick Whitefield, permaculture teacher and author of The Earth Care Manual This is an intimate insight into the world of plant guilds. The authors have taken the broad land based overview and zoom the reader into the micro detail of these plant polycultures. Details of root structure, seeding patterns, and relationships with the surrounding environment have been carefully observed and are well laid out in the plant guild lists. 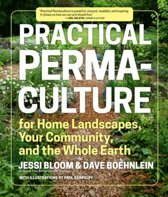 This book is an important contribution to every permaculture designer's library and will appeal to all those wishing to grow sustainable polycultures whether broadscale or in the garden. 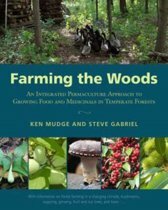 --Ben Law, author The Woodland Way and Roundwood Timber Framing Integrated Forest Gardening fills a major gap in the canon of permaculture books, giving us, at last, a detailed guide to guild and polyculture design. No longer is this subject mysterious and daunting; in this book we now have specific instructions for designing and installing multi-species plant groups. Chapter 7, which describes 15 guilds and their plant members, is a golden nugget worth the price of the book alone. 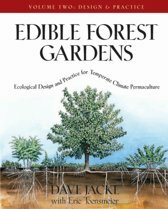 This is an essential book for all food foresters and ecological designers. --Toby Hemenway, author of Gaia's Garden: A Guide to Home-Scale Permaculture Integrated Forest Gardening is an evolution from Bill Mollison's original teachings, built upon by countless designs and a straightforward process. Both the seasoned and new designer can use this work to confidently approach a project, weaving land, client, and vision into an abundant and joyful reality. --Javan K. Bernakevitch, Educator and Agroecology Designer Integrated Forest Gardening makes the process of creating complex agroecosystems more understandable and achievable. 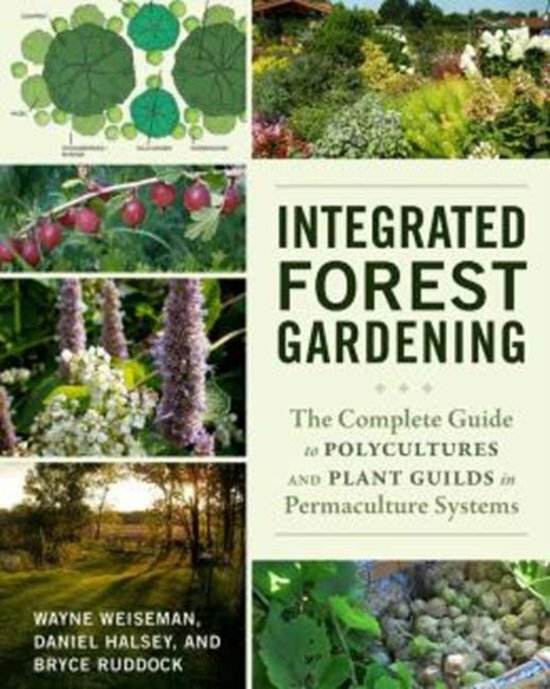 It is a fine guide to designing forest garden and polycultural systems using Permaculture principles. --Martin Crawford, author of Creating a Forest Garden For the design work we do at Midwest Permaculture, when we need experienced advice on planting systems we turn to the three gentlemen who collaborated on this impressive work. The book is thorough, accessible, and timely. So wish we had this insightful compilation when we first started. It's a gem! --Bill and Becky Wilson, Midwest Permaculture This rich feast of nature love by three experienced and working permaculture designers pushes into the hard task of creating recombinant ecosystems, a field where few have gone before. The authors expose the logic and lore of working guilds, the symbiotic plant assemblies of productive landscapes. Full of design insight into the needs and opportunities of both plants and the people who live with them, Integrated Forest Gardening offers a panoply of example guilds, work procedures, and luscious images to inspire and guide the perennial food gardener onto a path of ecological renewal. --Peter Bane, author of The Permaculture Handbook and publisher of Permaculture Activist magazine Reading Integrated Forest Gardening was like taking a walk through a well-orchestrated whole systems design! As a plant enthusiast and systems thinker this book spoke my language. It is rare to find in one book such depth of user-friendly detail. 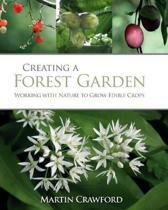 It demystifies the mythical nature of the Forest Garden'' and brings its strategies to easy application. 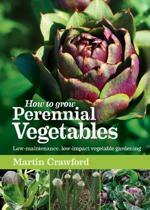 This book is a must for all plant lovers. --Jude Hobbs, Cascadia Permaculture Publishers Weekly- Weiseman, Halsey, and Ruddock define integrated forest gardening as the 'integration of all aspects of a land base into the development of healthy food, medicinal, and utility landscapes, ' giving equal importance to the built environment, the waste stream, animals, plants, and stones. Drawing on their extensive design, consultation, and teaching experience, these three Midwestern permaculturalists discuss plant guilds ('a beneficial grouping of plants that support one another in all their many functions') and their design, optimal species integration, and plant propagation; profile four trees, which are the centerpieces of polycultures; outline the process of implementing a forest-garden design; and detail fifteen plant-guild case studies across hardiness zones 3-9, illustrated with helpful anecdotes. 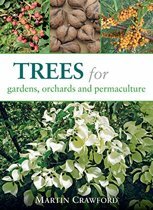 This passionate and practical manual gives landscapers, landscape architects, and householders enough in-depth information and methodology to begin their own experiments with an emerging, ecologically sensitive alternative to conventional horticulture.